Jim Jenkins became the third Fermi Lab Artist in Residence in early 2017. 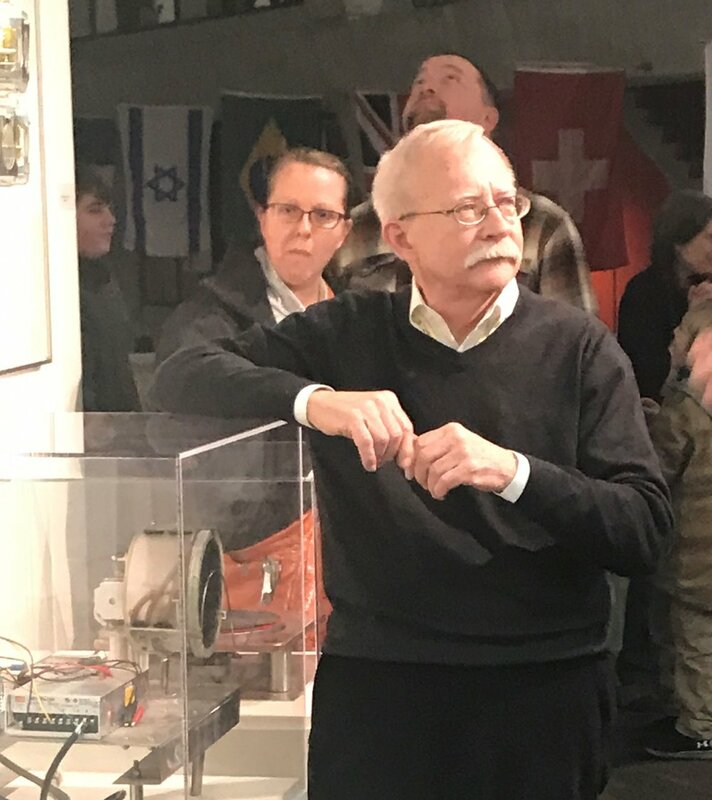 This month an exhibit of his work opened at the gallery space in Wilson Hall, it serves as a capstone for his year at the lab. It was a very busy year for the Geneva resident. 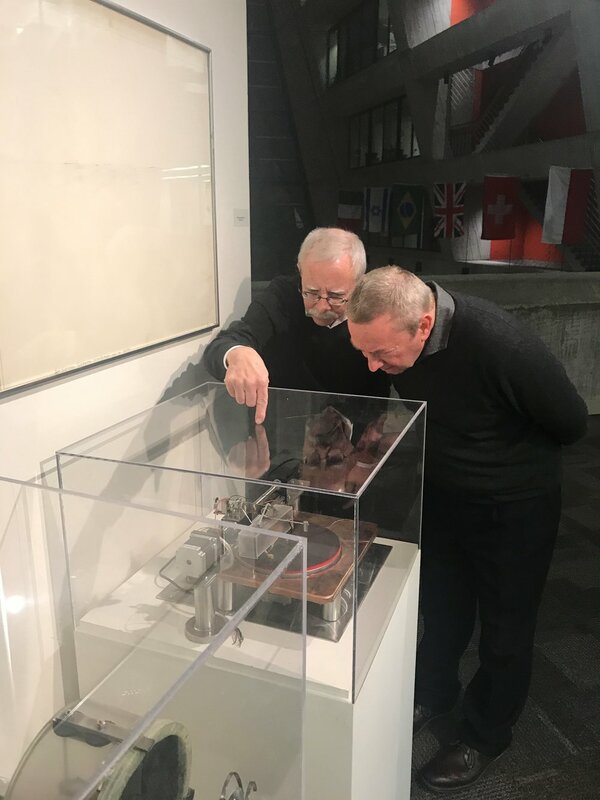 2017 Fermi Lab Artist in Residence Jim Jenkins explains his snow flake detector to Fermi Director Nigel Lockyer.